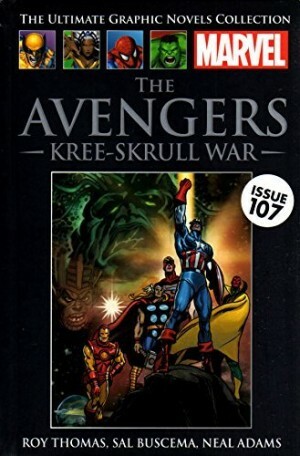 The Kree-Skrull War was a landmark for the Avengers title and Marvel comics. Editorial wisdom at the company previously restricted continuing stories to a maximum of three issues, and then only very rarely. 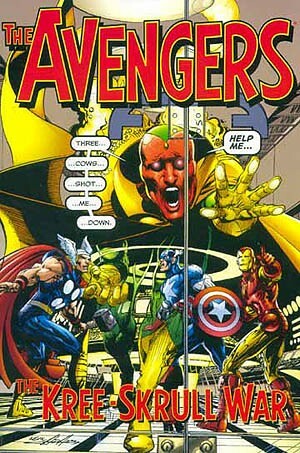 As a statement of ambition, The Kree-Skrull War begins with a three issue prologue. The bare bones concerns two alien races, both with expansionist policies and both with advanced technology at their disposal. 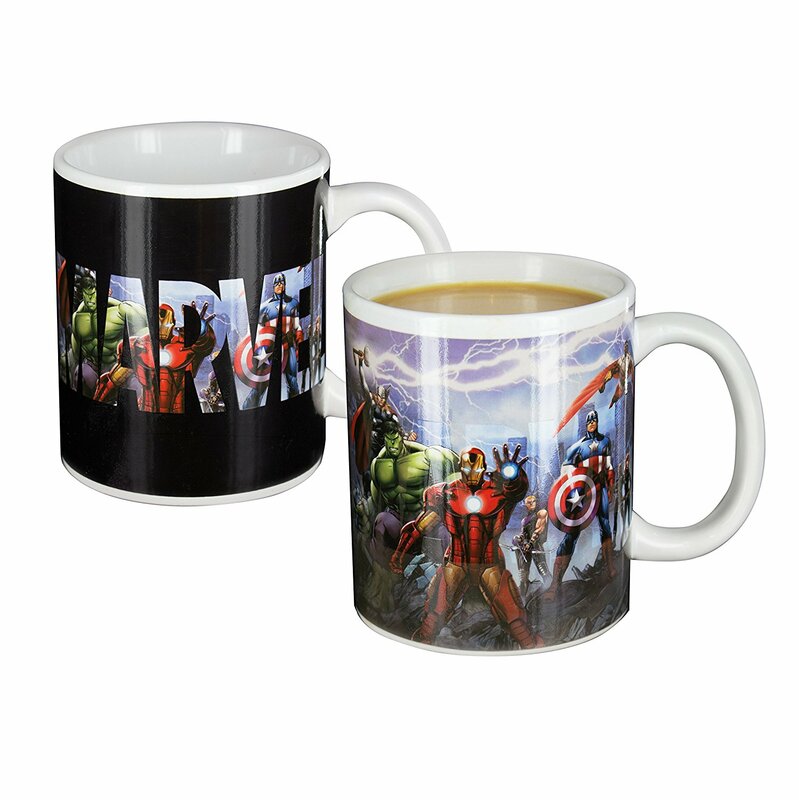 The Skrulls can additionally change their forms and masquerade as human, or indeed anything else. In their first appearance three of their number were dealt with by being hypnotised into believing themselves cows, and they have a part to play. 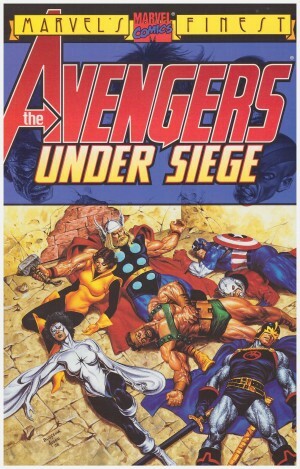 Roy Thomas had toyed with the scope of the Avengers for several years, and this is the apex. 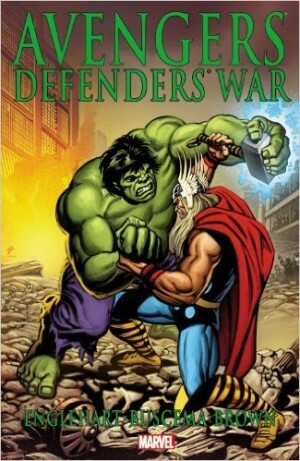 The opening three chapters concern the Kree attempting to roll humanity back to prehistoric times, the development of a decidedly capricious relationship, and the news that the Kree Empire had been invaded by Skrulls. 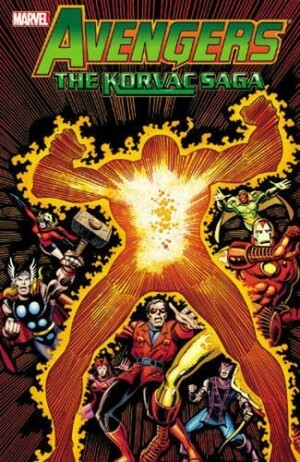 From there Thomas really kicks his imagination into high gear, tricking on several occasions with the shapeshifting abilities of the Skrulls, providing several good roles for other Marvel heroes, and ending with a dramatic sacrifice now overused for tawdry effect, but in 1972 genuinely shocking. 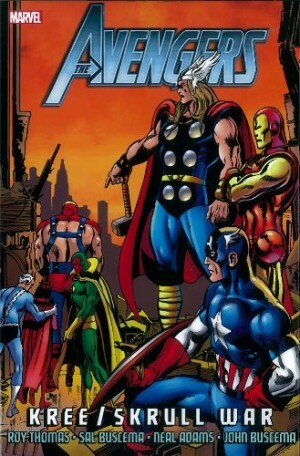 Anyone reading this in the tenth Avengers Marvel Masterworks, though, will be rapidly relieved. The dialogue sometimes slips into parody as far as the villains are concerned – “Silence you monumental traitor to the star-sailing Kree race who spawned you!” – yet it’s also very moving in places. 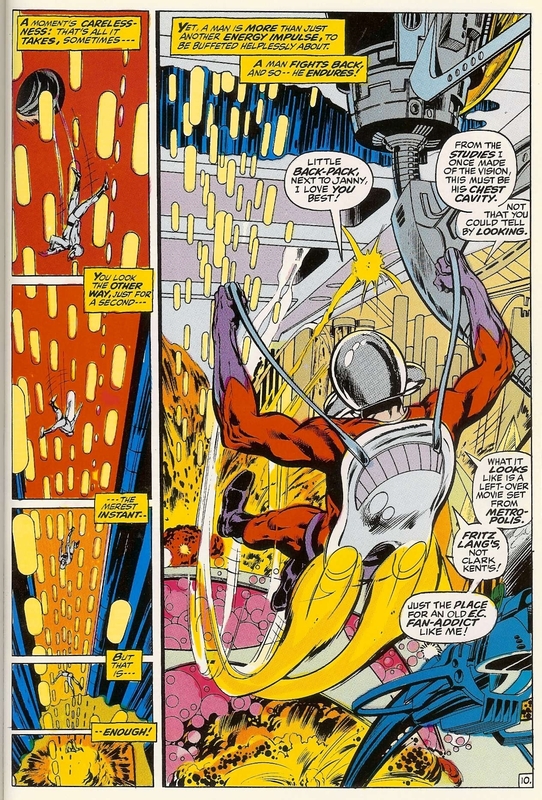 It’s a shame that the reproduction quality is variable, as the content illustrated by Neal Adams and Tom Palmer is amazing, with a sequence in which Ant-Man shrinks to enter the body of the android Vision the absolute highlight. This was solely Adams’ contribution, but marred by pages that look to be recoloured versions of black and white reprints,and other smudgy reproductions, while multiple colouring errors feature throughout. Those who know their artwork will recognise images that have been regularly – ahem – homaged by other artists, not least a fantastic splash page of Triton emerging from the New York harbour waters. Adams couldn’t complete the story to deadline, so for the concluding chapter John Buscema sublimates his own illustrative tendencies to provide an approximation of Adams’ graphic realism. The work of Sal Buscema, while always competent, is the least distinctive art. 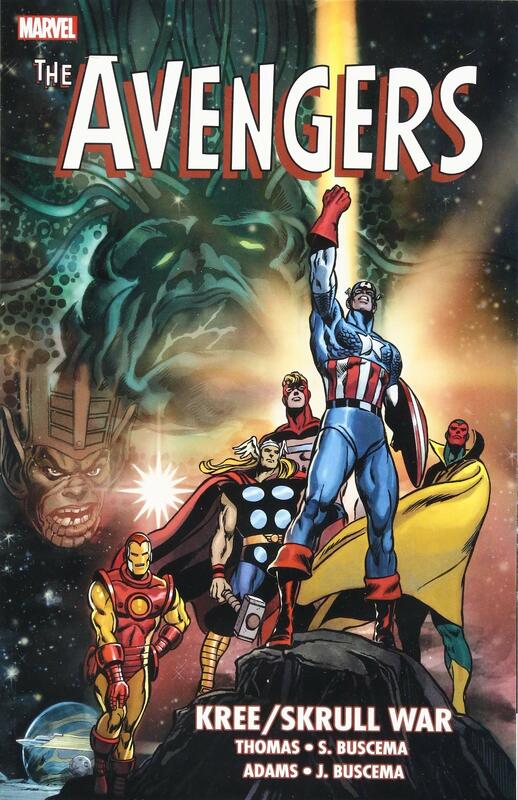 It’s only in the final chapters that the Avengers involve themselves directly in galactic conflict, as they have plenty to occupy themselves on Earth. Thomas concludes plots from an Inhumans series on which he’d collaborated with Adams, and the Avengers fight off government sponsored armoured soldiers, and in places this feels like marking time. 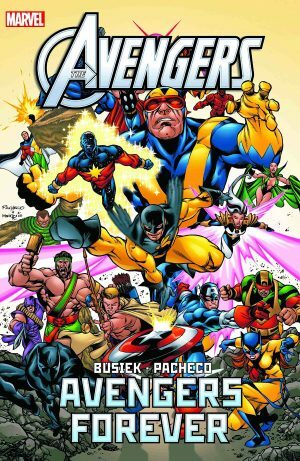 The idea of a final account in which an ordinary human plays a pivotal part is good, as is the idea of a bunch of 1940s superheroes intervening in a galactic war, but on the page the combination is contrived and inelegant. What might seem similarly so, the transformation of Captain Marvel into something more resembling his 1940s namesake would work better. In his afterword written in 2000 Thomas considers the story holds up “fairly well”. He was being modest then, and if anything time has increased the quality. Sequences of an orchestrated political campaign to the demagogue Joe McCarthy’s template has the Avengers on the back foot for protecting aliens who might be a danger to the USA. It has a depressing contemporary relevance. As well as the hardcover Masterworks edition the massive fourth Essential Avengers book re-presents the content in black and white.